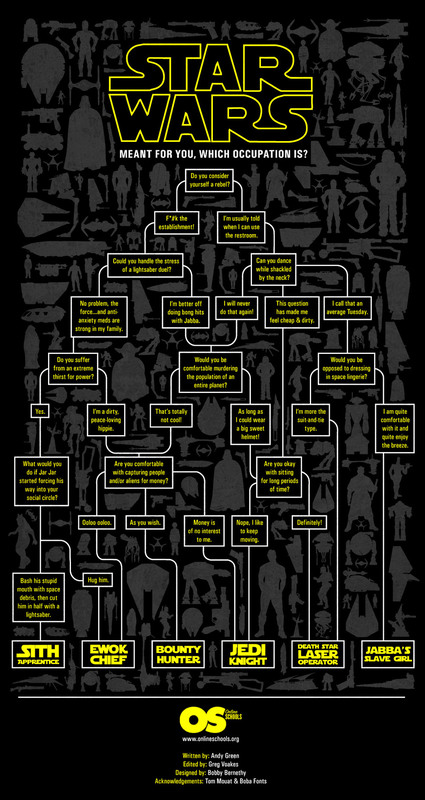 Check out this awesome flowchart that asks you certain question and takes you through the process of finding out what job would be a good for you in the Star Wars universe, what job best fits your personality. I wanted to be a Bounty Hunter, but ended up being a Jedi Knight. Check it out and tell us what job your best suited!